Real Madrid will take a slim lead into their second leg last-16 Champions League match against Napoli after running out 3-1 winners at the Bernabeu. Goals from Karim Benzema, Toni Kroos and Casemiro made the difference after Lorenzo Insigne’s early strike gave the Italians some hope of causing an upset in the return match and reaching the quarter-finals. Arsenal have a terrible record against Bayern Munich and they now face exiting the competition again after falling flat at the Allianz Arena. A classic Arjen Robben strike put Bayern ahead but Alexis Sanchez scrambled first to equalise after his spot-kick was saved. However, four minutes into the second period, Arsenal collapsed after defender Laurent Koscielny went off injured. 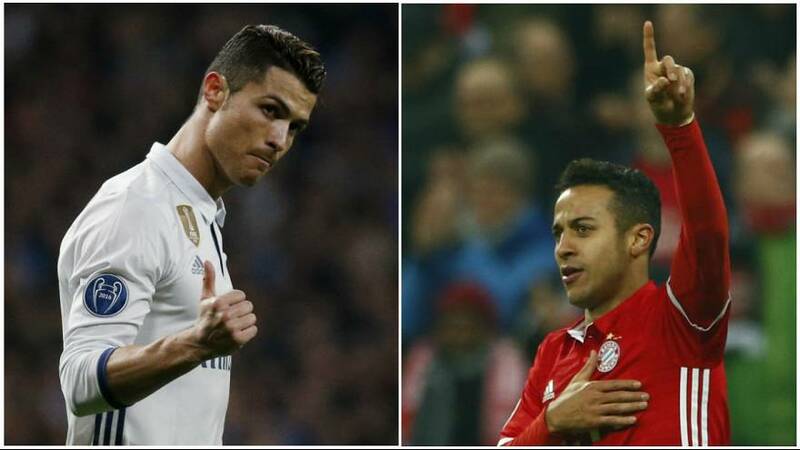 Thiago scored twice and Robert Lewandowski and Thomas Mueller added insult to injury as Bayern ran riot over the Londoners. No side has ever overturned such a deficit to reach the last eight so Arsenal will have to write a new page in the record books to qualify.